Mike Dickman is the general manager of BoatQuest.com, a unit of Active Interest Media. 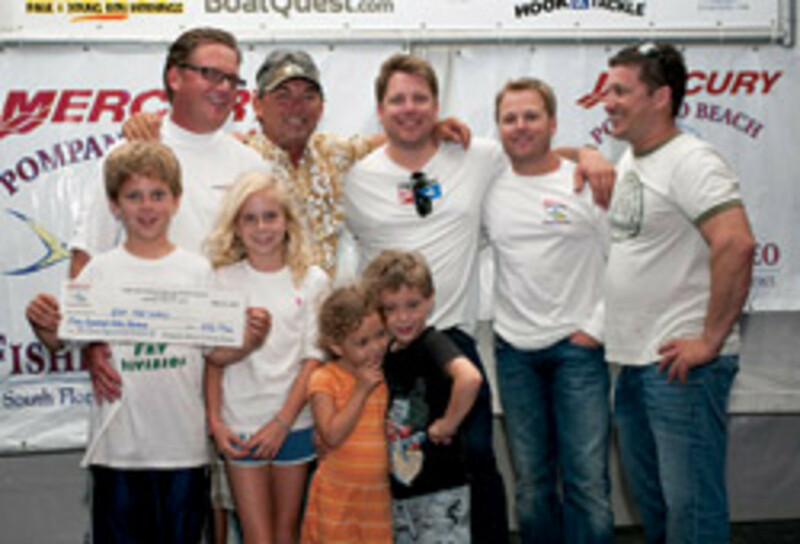 BoatQuest.com was founded in 1999, and AIM purchased it in January 2011. In addition to standard classified listings BoatQuest.com offers yacht brokers and dealers a variety of featured ads, as well as banner advertising. Dickman began his marine industry career in 1988, after graduating from Florida Southern College, in a marketing position at the Marine Industries Association of South Florida. Dickman, now 47, served as interim executive director of the group and was its industry lobbyist in 1991. In 1992 he was named marketing services manager at Bertram Yacht Inc., where his primary task was to resurrect Bertram’s corporate image as the company emerged from bankruptcy. A year later, Dickman started an advertising and graphic design agency, The Oxford Group, which he sold in 1997 to join a family venture, Ferretti of America Inc. FOA imported, marketed, sold and serviced luxury Ferretti motoryachts from Italy. In 1998, Dickman and his father founded another Italian motoryacht import company, Pershing of America Inc. In January 2005, Dickman returned full time to his passion for marketing with Dickman Marketing. 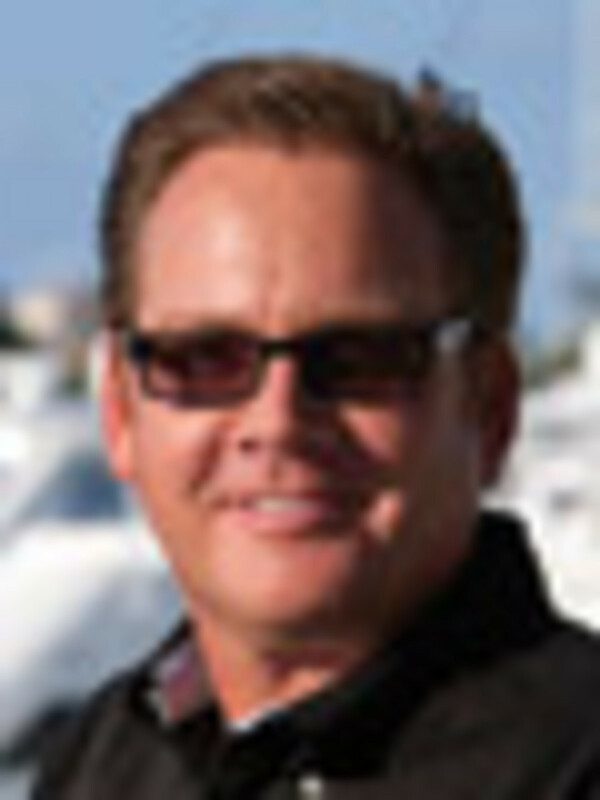 In 2006 he began working with HMY Yacht Sales, managing all aspects of its marketing efforts. In the spring of 2009 Dickman began working as a marketing consultant for YachtWorld.com and Boats.com and later with the Dominion Marine Media marketing team, where he remained until joining AIM (which also owns Soundings Trade Only). A resident of Lighthouse Point, Fla., he has a son and a daughter, and in his spare time enjoys boating, cooking and spending time with his children. Q: If you had to grade the marine industry — as a whole — on its use of social media as a marketing tool, what grade would you give it and why? A: If I had to give the marine industry a grade as a whole I’d have to say it’s a pretty poor grade. But if I were to grade the people that I see participating in social media, I’d have to give it a much better grade. Last year I would have said it’s at about a D or so, and now we’re at about a C+, bordering on B. I think people are really beginning to get an understanding of how to use it. Those people that are participating are getting close to above-average. The reason for giving the industry a poor grade is based on participation. Not enough businesses are participating. So the poor grade is really directly related to participation, and not how well the entire industry is using social media. Now if we are grading those participating in social media, the C+ is in order because they are doing an average job. And that’s not a bad thing! There are some doing a fantastic job, and there are some that are just getting it done because they think they have to. Listen, it’s not as easy as traditional marketing tools, such as print advertising. It takes time and takes some creative flair, and not everybody has both all the time. There won’t be enough [people or businesses] participating in social media until everybody is in. Q: Do you think social media has changed the way businesses communicate with consumers, or are the old ways still important? How can a business best balance both? A: I think it’s certainly changed the way that businesses are communicating. Those that are doing it correctly and creating a conversation and engaging the consumer, that’s kind of the new starting point. I know of some yacht brokers that have sold some boats because they’re on Facebook. They can directly correlate those sales with the fact that they’re on Facebook. But they’re not showing the boat by way of Facebook. They’re not doing the contract or sitting down with a customer over Skype. There’s a time and a place for everything. So that initial engagement and connection can happen in social media, but if you’re selling boats or you’re selling other things within the marine industry that have a higher ticket price, then those old ways are still important. Everybody wants to know who they’re buying something from. So I think some of the old ways are still important. Q: Can you talk about how social media can best be used to promote a business? A: The best way a business can use social media is to share information. When I do presentations on social media my main theme is, “Your social media plan, or agenda, should be to prove to everybody out there that you are an expert in your field.” Everybody in the boating industry is, to some extent, an expert in their field. Otherwise they wouldn’t be doing it. They have a whole lot of knowledge, let’s say, about Bertram yachts because they’ve been a Bertram broker forever. They can parlay all that knowledge into a huge social media campaign by talking about the different Bertrams — even going back into the history and talking about older boats for brokerage or new boats for new-boat sales and share information. People are going to the Internet looking for information, so if you can provide that information you portray yourself as being an expert in the field. Q: What are one or two mistakes marine industry businesses need to be careful to avoid when using social media? A: The first mistake is selling and the second mistake is selling. When I see businesses posting a picture of a new boat that’s just listed, with “Here’s the price and here’s my phone number,” that’s a big no-no. That’s not why people are on social media. If you flip to the back of a magazine they expect to see classified ads, they expect to see that kind of information, but they’re not in social media to be sold. The big brands of the world don’t go on social media and sell. They go on to social media to engage and to share information. Tide detergent will talk about how to get stains out of clothes, but they don’t talk about how much a gallon of Tide costs today. I understand why the assumption would be made, “Hey, this is a great new place for me to put up listings,” but a great alternative, which I’ve seen some yacht brokers do, is they have a photo album called “Boats I have recently sold,” so every time they sell a boat they put up a picture of that boat. That’s a fantastic way to engage people because you get a lot of comments — “That’s a pretty boat,” “That’s a great boat,” whatever it might be. But also, if somebody is looking for a yacht broker and they start clicking on that album and there’s 10, 15, 30 boats in that album — that guy’s sold a lot of boats, so he’s probably somebody I should consider to sell my boat. Q: What would you say to business owners who may be concerned that social media will take up too much of an employee’s time or that employees will end up playing on the Internet instead of working? A: I think there needs to be an understanding with the employees about what your Internet use policy is, and as long as there’s an understanding and as long as people are getting their work done, if they’re on the Internet promoting the business and not just goofing around, it can only be good for the business. Of course, there are people who are going to abuse the opportunity, and that happens in every office space. There are people on Facebook all day long instead of doing what they’re supposed to be doing. But the bosses know who those people are, anyway, because they’re probably not getting their work done. Q: What suggestions would you give to someone looking to start using social media? Where is the best place to begin? A: The first place to begin is like anything else they do in life. It’s to sit down and make a list of their goals and expectations. Sit down and say, “This is what I think I want to get out of social media, and this is what I expect to get out of social media.” And then they need to start talking to other people that they know in the business and learn from other people’s experiences before they just dive in. If you dive in and then you get hooked and you’re going down this bumpy road and you learn that what you’ve been doing for the last couple is miles isn’t quite right, then you’ve just wasted time. But the first thing to do is write down, “This is what I expect to get out of it, and this is what I want to get out of it.” Plan it out. You can’t just dive into social media without knowing what you want to get out of it. Q: Would you suggest people look at getting involved with many social media sites at once (Facebook, Twitter, etc.) or do one at a time and figure out what works best? A: You can kill two birds with one stone easily. You can use Facebook and Twitter just by handling one page. You can link your Facebook business page to your Twitter account, and everything you put on your Facebook page gets tweeted. So once you link your Facebook and your Twitter, you don’t really even need to think about Twitter. You can almost forget it’s out there. Twitter is a social site that’s more like a cocktail party where somebody’s standing in the corner and just talking, talking, talking and people come by and listen to him as they come by. There’s really no back-and-forth conversation. But Twitter’s good to have because there is some [search engine optimization] quality to it, and if it’s as easy as connecting your Facebook page to it, why not do it? I would start with Facebook and Twitter, and then as you become more proficient and it takes less time for you to manage your Facebook page, then you can look into creating a YouTube channel and uploading and creating a whole video database, basically. Q: How do you draw people to your social media pages or sites? A: I call them fire starters, and those are people either within your business or outside your business who know about your page that continually share content that you post on your Facebook page. So everything that they share goes on their wall, so all of their friends see it, too. So if you have five fire starters and they each have 500 friends, you just increased your potential for people seeing you by five times the 500 people rather than just you trying to do it yourself. And that’s why getting people within your business to help you is a good thing because they understand the business so they can actually add to the comments as they push it out. Also, you know it’s going to [get out there]. Q: Are blogs considered social media? Should they be part of a social media marketing plan? A: Anything can be considered social media as long as [it allows for interaction]. If it’s a blog that doesn’t have a comment field, then it’s just a blog. It might as well be a newspaper. Somebody can read it, but there’s no engagement there. If you’re using any WordPress blog and there’s an opportunity for comments, then I would say that, yes, that could be considered social media. Should it be considered part of the social media marketing plan? If you have somebody that can maintain it on a regular basis and keep it current, I would say yes. If you don’t have somebody that can do that and you’re going to put up a couple of posts and then it’s going to sit dormant, then don’t get started. You’ve got to do five posts a week, at least once a day. Yeah, it takes time and effort, but everything in your business takes time and effort. If you’re a marina owner and you’re walking around with your smart phone all day long, snap pictures. If someone’s got a forklift and they’re bringing a boat out of a shed and they’re launching it or there’s a family getting on their boat or you’re hauling a boat or there’s some guys doing some bottom painting work — whatever it is — take pictures and put it up. People love to see pictures. As soon as you get your mind switched in a way that everything you’re seeing or doing during the day is a social media opportunity, then it’s a lot easier to generate the content and stay current. Q: Where would you tell people to turn if they’re looking for ideas on how to best use social media? I would start with your friends and your friends in the industry and reach out to them because you’ll get the truth. One of my favorite websites is Mashable. Mashable is the Google for social media information. That’s a great resource. Q: What’s on the horizon for social media? A: Two things, I think. The first is mobility. Things are going to begin to happen much quicker because of smart phones. From the business perspective, businesses are going to begin to listen more than they are talking. Gone are the days of us telling everybody they’ve got to have a boat. … Now the consumer is telling the brands and the sales forces what they want. Social media is a great place to do market research. You can get some research on what people are really doing with their boats. Listening to your “fans” — that’s one of the directions that social media’s going.